Learning to play the guitar is not that hard. 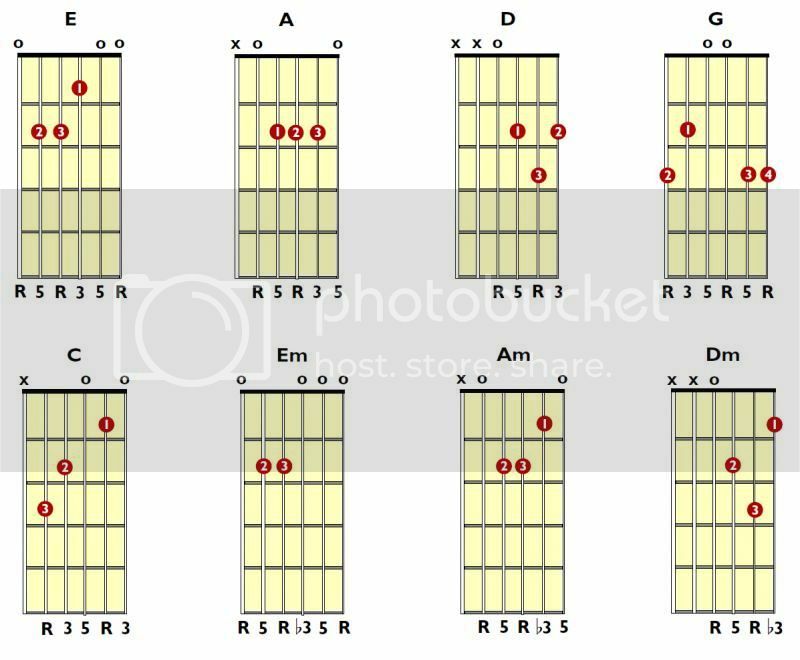 You can start with the easy chords such as the given chords below. There are songs that have only 3 or 4 chords in the entire composition so; start from that level. Once you know how to play the guitar, you will never forget. As for me, I love learning the chords of my favorite songs and because I love singing, it is just spontaneous. Do you want to learn to play the guitar? Do you have a guitar? To start with this hobby, you should buy a guitar first. You can save on online music gear retailer at guitar center and do not forget to buy a music book that shows images and graphic guitar chords. I tell you, you will love this hobby and you will appreciate music even more. gee thanks for this post gurl. . . i practiced the chords. are u urself adept at this amy?